We’re now about six weeks into the new year and so far a few interesting statistics have emerged. As you’ve seen elsewhere in our Blog and probably seen or heard elsewhere, there’s a general impression that the market has begun to shift towards more of a balanced market — one that favors neither buyers nor sellers. But if you talk to some within our industry, there’s a bit of doom and gloom on the minds of many sellers. Do sellers in Benicia, Vallejo and the rest of Solano County have reason to be concerned? Let’s look at the numbers. Real estate has always been highly sensitive to Supply & Demand. When the supply rises buyers have more choices and less urgency. When it drops, buyers feel the need to act quickly and negotiate less. Well when I ran the stats a few days ago, there were 42 homes on the market in Benicia, 165 in Vallejo and 150 in both Fairfield and Vacaville. I became an agent in the mid-1990’s and I remember when over 200 homes were on the market in Benicia and over 1,000 were on the market in Vallejo. So by historical standards, inventory throughout Solano County is still extremely low. It’s a bit higher than it was the last few Februarys, but those numbers were historical lows. In Benicia, which is where my office is located, I used to consider 80-100 homes on the market a good amount of inventory. Anything below that favored sellers and anything above that favored buyers. But over the past 10 years, it seems that an inventory of about 60 is about the tipping point. In any event, I think it’s safe to say that we’re still well within a period of Low Inventory. How long a home has been on the market has always been one indicator of market strength. Locally, between 41%-49% of the active single family home listings in Vallejo, Fairfield and Vacaville have been on the market for 30 days or less. Benicia is a bit lower at 29%. And roughly 1/3 of those active listings have been on market for 85 days or more. In a blazing hot market, most listings would be in that less-than-30-days category whereas in a true buyer’s market, most would be well over 30 days. So the figures seem to indicate that Solano County is a pretty balanced market right now. One of the best ways of evaluating market strength, though, is by comparing the number of new listings to the number of homes that went into contract over a period of time. In a slow market, the inventory would climb and in a hot market, the inventory would drop. So as you can see, homes are indeed selling at a very decent clip The inventory dropped in three of the four cities, with more homes going into contract than new listings. Even though the above numbers show a net drop in inventory in Benicia, Fairfield and Vacaville and a negligible increase in Vallejo, none of the net gains or losses in inventory are dramatic. And that, too, points towards it being a balanced market. 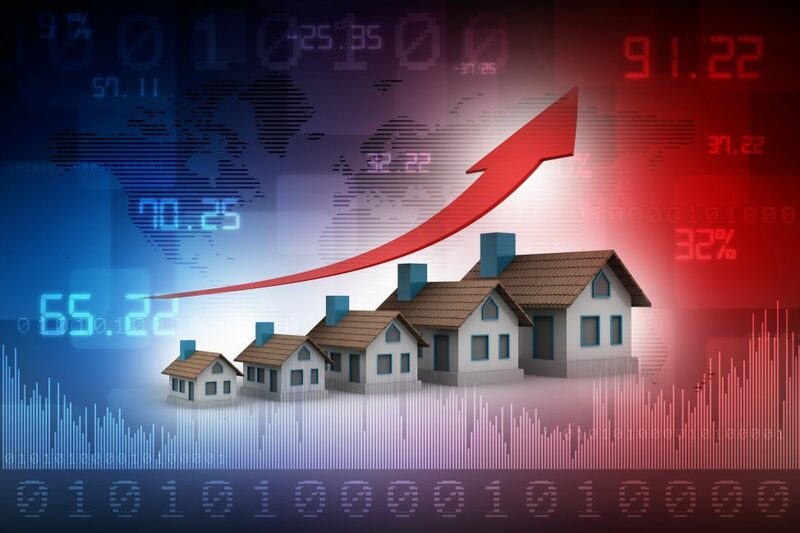 In recent years, the market picked up quickly after the first of the year and by now the market was quite hot. But for the first 10-12 years of my career, the spring buying market didn’t really take off until about President’s Weekend. So if that former norm returns, we could very well see the market pick up steam in the coming weeks and all the talk about this becoming a balanced market could go by the wayside. But for now, it definitely feels like a balanced market. And the numbers seem to support that position, too. I’ll continue to provide Market Updates on a regular basis. So check back often. And if you have any questions, feel free to contact us as we’re always to happy share our market insights and observations.